Festive, folded, pinched, and crimped, dumplings may look difficult to prepare, but with the help of your instructor, you will quickly master the techniques for creating three different, beautiful dumplings to adorn your table and delight your guests. In this class we will create spicy Cumin Lamb Dumplings with unique Jade Wrappers, classic crispy-bottomed Pork Gyoza, and delicate Shrimp Wonton Clouds for our feast. 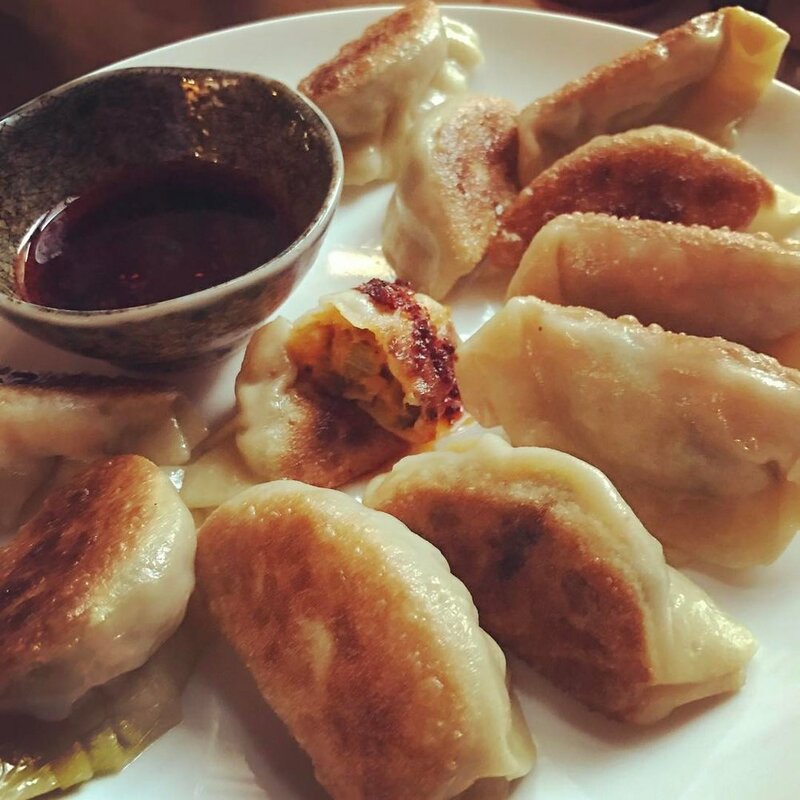 We will also concoct an array dipping sauces and you will even learn to make your own homemade dumpling wrappers. Finally, you will learn which classic Chinese ingredients to keep on hand in your pantry in order to whip up dumplings for any occasion. A $20 food fee is included in the course fee. Dazzling Dumplings Sign up here.